Hi everyone! I'm finally done messing with the ad layout on the site so that it runs faster with less video ads for all. For those of you that have beared with them, thank you! Today's Weird Pick Wednesday goes back towards the viability spectrum. After pick after pick of obscure, crazy antics, I thought today would be a good day to focus back in on a champion that's rarely seen, yet possibly a powerful sleeper pick...Jungle Irelia! Hi everyone! I'm finally done messing with the ad layout on the site so that it runs faster with less video ads for all. For those of you that bear with them, thank you! Once Irelia becomes sated, her true damage coupled with her heal on her Hiten Style (W) are both doubled every second attack. As most people know, her true damage is an absolute pain to play against; double the true damage is double the pain. Many popular champions in the current meta have a slew of dash type attacks prepared to dodge skill shots. However, with one of the few point-and-click stuns left in the game, Irelia is able to guarantee the CC and thus doesn't have to waste a gap closer unless she knows she can get in range for the stun. As mentioned before, Sated Devourer also allows Irelia to double her healing power. Combined with Spirit Visage, late game Irelia is nearly unkillable when she has her Hiten Style activated. 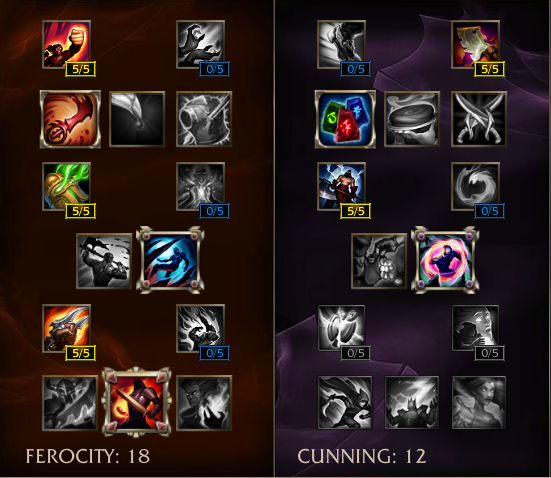 Generally champions with strong lifesteal abilities can be countered via hard CC, but Irelia's passive quickly negates any thoughts of that. 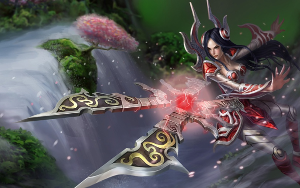 Although Irelia can do some fancy creep jumps, she's fairly one dimensional and focuses on resets and single-target damage to get ahead. As a one-trick pony, she's prone to getting focused down when she's seeking a target. However, it's a pretty good trick. As a champion that excels at jumping in as a secondary initiation champion, Irelia does poorly as a primary engager. She can certainly face tank quite a bit of punishment if she's fed, but in that scenario champions don't generally stick around to admire her damage output. A fed sated Irelia is certainly just as deadly if not more deadly than a sated Jax. However, she'll likely need another diver to maximize her effectiveness. Once Master Yi gets nerfed a bit more, I wouldn't be surprised to see Irelia rising up to take his place as a champion in a similar role. She's got a ton of build paths, so definitely try them all out and see which items suit your playstyle the best! What do you think about Jungle Irelia? Comment below!